The Armenian nose is a source of national pride, sometimes said to be like the country’s impressive mountains: high, proud, and honest. But what looks good in a landscape painting does not necessarily meet today’s global beauty standards. And increasingly, Armenians – especially young women – are opting for rhinoplasty in an effort to conform to the idealized Western appearance. Armenia does not keep national statistics on it, but anecdotal evidence suggests that the procedure is becoming more popular: Grigoryan’s clinic performs about 500 nose jobs a year, up from 150 to 200 five years ago, she said, and more and more clinics are offering the procedure. Danielyan is one of the pioneers of rhinoplasty in Armenia: in 2002, he started the “Most Armenian Nose” competition, with the first prize being a free nose job by the doctor himself. Back then, he said, the contest was a publicity stunt to drum up business. Now, it is no longer necessary to create awareness of the procedure. He estimates that he does about 1,500 rhinoplasties per year, but the number is closely dependent on the cyclical nature of the economy. But it is not only Armenian citizens who get nose jobs in Armenia. A developed infrastructure and low costs (when compared to the West) have facilitated a medical tourism boom, one driven mainly by demand for plastic surgery. Raffi Elliott, CEO and co-founder of a medical package tour company, gettreated.co, said that his clientele among the Armenian Diaspora is disproportionately coming to get rhinoplasties. 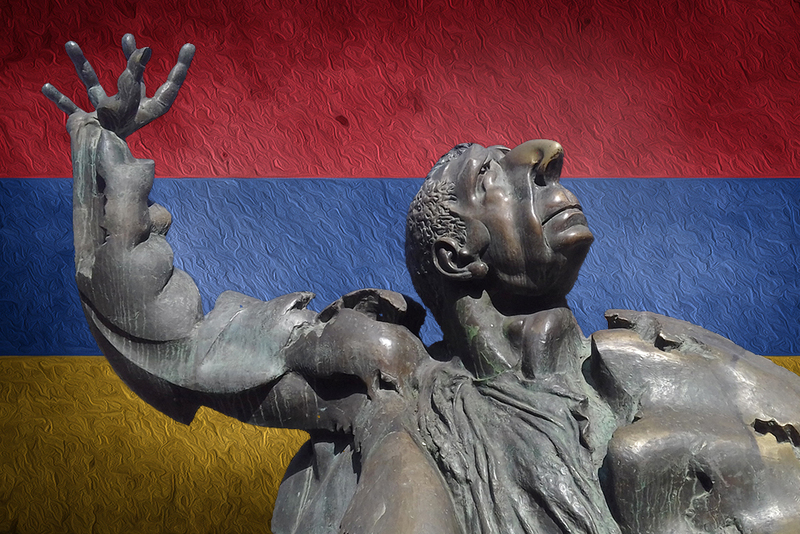 For a nation with a strong sense of pride and national identity, the trend to make the “Armenian nose” look less Armenian can seem contradictory. Danielyan, who sports a humble nose himself, says that these days people are more looking to get noses that suit their faces, rather than simply copying the popular small, curved, Slavic noses. However, he does continue to get many requests to recreate Angelina Jolie’s nose, the most popular celebrity example when it comes to rhinoplasty. A rhinoplasty does nothing to the genes, of course, so the characteristics are not likely to change, he explained. And some Armenian women are bucking the trend: one pop singer, Silva Hakobyan, has shot down tabloid rumors that she plans to reduce her quintessentially Armenian nose, and says she is proud of her natural features. Many women still worry that typically Armenian features may damage one’s marriage prospects, Danielyan said, noting that the most common rationale stated by his patients is the wish to find a partner. “If you have a big nose, you won’t get married, and if you don’t marry, it’s not good,” he said.